by Jesuit Brother Guy Consolmagno and Jesuit Father Paul Mueller. Written in dialogue form as a nod to the famous astronomer Galileo, the book is a conversation between Brother Consolmagno, the scientist and researcher, and Father Mueller, the historian of science and philosopher. The 12-point questions help frame an overall larger discussion about the relationship between religion and science. 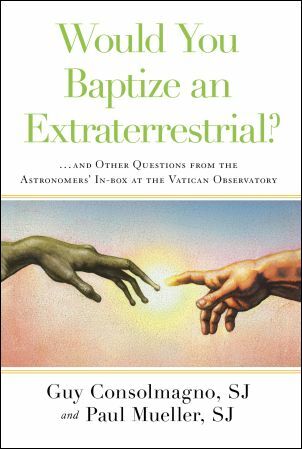 Within the answers to each question, Brother Consolmagno and Father Mueller show the reader that science and religion must continue to have “conversations” to help satisfy the human desire to problem-solve and discover how the universe works. Information is viewed through a cultural lens and within the context of what is known at that time, they note. And, Father Mueller points out, to try “to prove or disprove religious beliefs on the basis of currently accepted scientific theories, because those theories will likely change someday” is not logical. That’s just the way of scientific progress, and the authors show how what was accepted as a scientific norm yesterday was replaced time and again as new data was interpreted. Lordan has master’s degrees in education and political science and is a former assistant international editor of Catholic News Service.